hotels. All star hotels all over Greece. 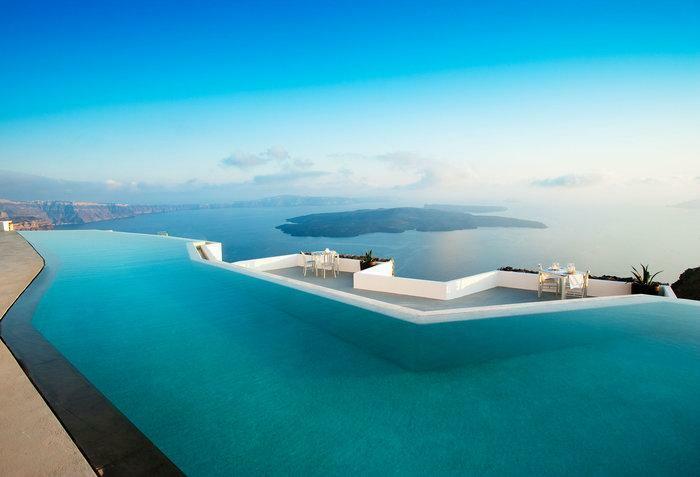 Greece accommodation, at the great Hotels. Offers & Promotions. Business Trips. Best Price Guarantee. Rent-a-cars. Cheap car rentals Greece. Get an affordable Greece rent a car. Accepts all credit cards from international companies, Mastercard, Visa American Express, Diners. Rent a Car offers economic and reliable Rental Cars, in Athens or anywhere in Greece. 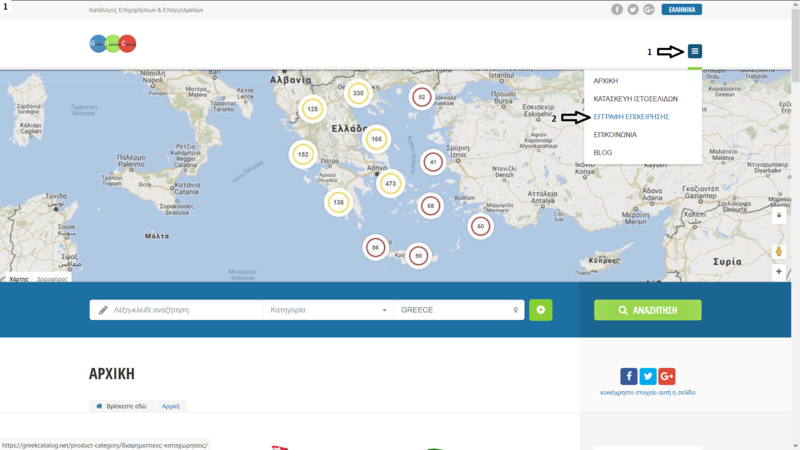 Car Deliveries & Collections in all Greek airports, ports and trains. Rent-a-yachts. Yachting offer luxury yacht charter Greece. Crewed yacht charters in Mediterranean. (group and private Greek yacht charter cruises) to meet all your needs. Sailboat, motor boat and catamaran rentals for sailing holidays in Greece. Over 3000 islands await you with relatively small distances between them. Tours-cruises all over the greece small tours or cruises around the islands, at the best and beautiful beaches in mainland or islands. Private airport transfer in Greece. Book a taxi online with low fares. Services: Child seats, Payment online, Order online. Types: Economy, Minivan 4pax, Minibus 7pax, Minibus 10pax, Minibus 13pax, Comfort, Micro, Premium. Please check our rates for executive and private tours and transfers all over Greece. Villas-for-rent a vacation luxury villa in Greece. Book a sea side beach house in Greece for your vacation. 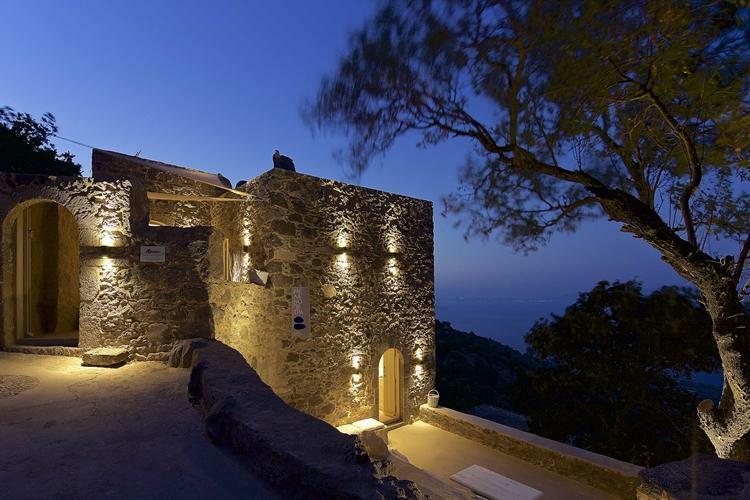 Beautiful private, tranquil, secluded holiday summer rentals in Greece. Find the Best Greece villas and self catering, or apartments to rent. The RS Hotels & Villas consists of a traditional family hotel (Hotel Rosmari) in the mountain village of Archangelos and a studio and apartment complex (Villa Stegna) in an elevated position Stegna beach. Prinos The hotel is located right on the sea, in a quiet location just a few meters away from the center of Prinos. Our hotel is family run and managed by the family Forks, while the environment is suitable for young children as the beach is very close. From the moutainous villages to the small coastal hamlets, the Pelion peninsula is a perfect setting for your rewarding and relaxing holidays in this truly special part of Greece. The delightful village of Anilio, situated on the east side of Mount Pelion, is a very peaceful and quiet village. It is here in Anilio that you will find “Kallisti Apartments”, from which we are happy to welcome you here to Pelion, and offer a lovely selection of comfortable apartments. During the summer months, you can head to one of the many beautiful beaches that can be found all around the coastline of Pelion. There are some truly stunning beaches here in Pelion. In the winter, you can head to the famous Pelion ski centre and enjoy ski and winter sports. If you would like any further information about our apartments and the facilities that are available, please do not hesitate to contact us. We will be more than happy to assist with any questions that you may have. MOUZAKI PALACE HOTEL & SPA, the new jewel of western Thessaly,is built on a hill on the outskirts of the city of Mouzaki. Surrounded by a forest of oaks and chestnut trees, it offers a panoramic view of the city and the plain of Thessaly, in a natural scenery that will enchant you. When someone come for the very first time in Villa Irida, he wants to return in this wonderful place. The unique location in a quiet area in the center of Potos. Apartments for Rent | Kallithea Halkidiki | Tania Apartments, Renovated and spacious studios. Fully equipped. Here you will find 3 beautiful and comfortable studios waiting to welcome you to Kallithea in Halkidiki. Facilities: Fully equipped kitchen, Air condition, TV, Sofa – bed, Satelite television, Wi-Fi. A great & warm place for families or companions of 4 people. Rent a Yacht | Pera Gialos Astypalaia | Avra Cruise, A privately owned 16-meter wooden yacht, which is available for daily or weekly cruises in the deep blue Aegean sea. Our welcome drink is to refresh you and give you the feeling of hospitality that Astypalaia island offers and taste the traditional cuisine. Celebrate any special occasion your mind can capture onboard: Romantic anniversary, Specially organized cruise, Wedding trip, Friends’ reunion, Spontaneous party for your beloved ones. We will visist inaccessible beaches and rocky islets of the Astypalaia island. Come and enjoy a wonderful cruise to Greece Islands. The Esperia Luxury Suites is located in Astypalaia, the island of the “Aegean butterfly” we are waiting for you to exchange the vows of love, make the marriage proposal you are dreaming of, take a romantic trip and if you are not yet in love…falling in love…!! Esperia Luxury Suites are an ideal place for escape and relaxation in Chora of Astypalea, combining the traditional architecture, the thoughtful decoration, the comforts and a cozy ambience. Rooms : Esperia Suite I, Esperia Suite II Facilities: Air conditioningTV, Satellite channels, Wifi, Refrigerator, Bathroom, Shower, Toilet, Jacuzzi (Suite I) Hotel services: Private Jacuzzi (Suite I has an indoor Jacuzzi for romantic moments), Yacht Rental (We can arrange for you to have small excursions around the Aegean Sea), Guest welcome upon arrival, Express check-in / check-out, Pre-arrival request and shopping service Health & beauty treatments, Maid service, Car rental Esperia Luxury Suites promise a unique experience in the standards of the best summer resorts, ideal for romantic holidays, anniversaries, honeymooners and couples in love…Enjoy your stay! Planning your vacation to Mykonos? Looking for exclusive transportation options? We are here to provide top VIP vehicles and drivers for your needs! Aegean Luxury Services is a company dedicated to provide top Vip transportation solutions to all needs. More than 20 years in market gives us the experience needed to support the most demanding requests. Our Services include transportation between airport/port to hotels and v/v, limo service, tailor made tours. We provide the vehicle and the driver…you choose the way! Welcome to “La Caretta”, a family run hotel offering quality services for its guests, at affordable prices. Renowned for our authentic Greek and Romanian hospitality, we take a personal interest in our guests needs and ensure they have everything they require for a pleasant stay. Alykanas is one of the best resorts in Zakynthos, as it is a quiet and welcoming place, making it ideal for families and couples. The island of Zakynthos has a rich history that is reflected in its museums and many historical sites. The island has many monasteries in the traditional mountain villages where you can witness the making of local products, like cheese, yogurt, honey and wine. Boat Cruise – Yacht | Porto Vromi Zakynthos | Tsoukalas Ioannis, Three tourist boats that make daily excursions to the shipwreck. Starting point: Porto Vromi, Zakynthos “POSEIDON” Capacity 45 persons “SARONIKOS” Capacity 31 persons “SAINT IOANNIS” Capacity 45 persons Departure from Porto Vromi, passing through blue caves and arriving within 20 minutes in the shipwreck. After agreement, stops at the blue caves and the shipwreck for one hour. Rooms to Let | Skala Agistri | Spastiras Hotel, The “Spastiras Hotel” is located near the Skala of Agistri with a sea view, few meters from the harbor. The rooms have: Facilities: Refrigerator, Kitchen, Air conditioning, TV, Internet Our prices are based on your season and period of stay. Rooms to Let – Apartments | Perissa Santorini | Stoudios Perivolos, Studios Apartments Perivolos is located in Santorini in village Perissa and offers a very pleasant accommodation suitable for all types of traveller, near the largest and most beautiful black beach of Santorini. This whitewashed building of typical Cycladic style is located in a quiet area of Perissa, just 150 metres from the beach. Consisting of 10 studios and 6 apartments. All studios, rooms and apartments have air conditioning, fridge and TV. They also have a bathroom with a shower. Some units include a kitchenette with cooking hobs. Facilities: Kitchen, Bathroom, Phone, A/C, WiFi, TV, Balcony with sea view, Parking There is vibrant night life 250 metres away from Perivolos beach with bars, restaurants, a water park and disco. Fira Town and Santorini Airport and both just 10 minutes’ drive away. Also available is free transportation to and from the port and airport. Corfu Dream Fani is set amidst a garden with stone-paved terraces, benches and a well. It is located 600 metres from Ypsos Beach and features self-catered accommodation with free Wi-Fi. All air-conditioned apartments consist of 1, 2 or 3 bedrooms and a kitchenette with oven, mini fridge and kettle. They open to a furnished balcony with garden and mountain views. A TV is available in the seating area and there is also a private bathroom with shower cabin and a hairdryer. Apartments to Let | Pefkias Skopelos | Villes Liagka, High on the green mountain overlooking Skopelos town, we built our villas with a lot a care and love. Every apartment is fully equipped and can easily house 4 persons, although the two larger can manage 6 persons. Facilities: Electric kitchen (with stove and all necessary kitchen utensils), Coffee pot, TV, Electric iron, Hair drier, Heating, Refrigerator, A/C, WiFi, Parking, Rooms with view, Swimming pool, Baby bed. There is a barbecue and washing machine. Animals are allowed. The Villes Liagka is 5 km from Skopelos town (or three using the road that weaves around the mountain over the town) and 3 km from the beautiful Agnontas and its taverns that are practically in the sea, it combines quite environments and quick access all over Skopelos. Rooms to Let | Agia Marina Aegina | Marie Claire Rooms, Welcome to Marie Claire Rooms which are located in one of the most famous tourist destinations Agia Marina in Aegina. There are located in the most beautiful spot of Aegina, Agia Marina, 200 meters from the beach. We offer double, triple, quadruple spacious rooms with sea view. Facilities: Kitchen, Bathroom, TV, Air-condition, Internet There is a comfortable parking near the rooms. (Shortly) Swimming pool with Snack-Bar is provided. We have a playground for the entertainment of your children. Prepare your culinary delights on our Barbeque. Contact us through our contact form and we will respond as soon as possible. Restaurant Tavern | Skala Kefalonia | Apostolis Tavern, Whether it’s a romantic meal for two or dining with friends and family, a warm and friendly welcome awaits you at our family run restaurant in the heart of Skala. Appetizers, Soups, Greek Cuisine, Grill, Salads, Dessert Come on in and let Apostolis be your host, while you enjoy delicious traditional Greek food served with Kefalonian hospitality, in a warm family atmosphere. We organize Wedding Dinners, Birthday Parties. Rooms to Let | Adamantas Milos | Stelios Kiritsis, Studios & apartments for rent. Close to the harbor and the sea, in a quiet part of our island. The studios are four of which consist of large bedrooms. There are double and triple studios. They have spacious space for them cars and are located in a traditional landscape of Milos. Facilities: Kitchen, A/C, WiFi, TV, Hairdryer, Breakfast, Refrigerator, Fully equipped kitchen (plates, glasses etc.) They have large balcony, hot water all day with 2 solar heaters that provide great autonomy. The two apartments overlook the mountain and the other two the harbor of the village. In the area there is a supermarket, a grocery store, a bakery, patisserie and traditional taverns, many pizzerias, souvlaki and cafe. delivery souvlaki new vrasna, souvlaki new vrasna, kontosouvli new vrasna, souvlaki shop new vrasna, grill new vrasna, delivery asprovalta, souvlakta asprovalta, kontosouvli asprovalta. CAFETERIA BEACH ISLAND FOKIDA, BEACH ITEA BEACH, BEACH BAR ITEA BEACH, COCKTAIL BAR ITEA BEACH, SNACK BEACH ITEA BEACH, BRUNCH ITEA BEACH, BEAUTIFUL ITEA BEACH, NIGHT OUT ITEA BEACH, ALL DAY CAFE. creperie-zakynthos-argasi-after-by-mary, Creperie, Crepes, Waffles, ice creams, drinks, natural juices, cold sandwich, Burger, Waffles Creperie Argassi Zante, CREPE Argassi Zante, waffles Argassi Zante, ICE cream, Argassi Zante, beverages Argassi Zante. The PETRA MARE hotel (1st class – luxury 4-star) hotel is comprised of 223 spacious rooms, most of them with sea view, a balcony, Air Conditioning, telephone, satellite TV, music, minibar, safe deposit box, large and comfortable bathrooms with hair dryer…. The Minerva Beach Hotel is located in Agia Marina, 8km from the city center of Chania. 25km from the airport and 20km from the port of Souda (Chania). The bus stop is 100m from the hotel. (Buses are running every 30 minutes and take 15 minutes to Chania). The city center of Agia Marina is in walking distance (+/- 10 minutes). The center of Platanias is about 3km away. Pelion attracts as being a destination for every traveler. ENALION Hotel in Kala Nera is respectfully in harmony with the scenic surroundings and connects traditional hospitality together with luxury. The hotel represents the essence of Greek hospitality and is a synonym for high quality service and comfort, offering a unique and unforgettable stay. We are looking forward to attend to the needs of every visitor, every season of the year. Enalion … an escape to seashore paradise! Hotel Akrogiali is located in Kalo Nero, a delightful greek village at the west coast of the Peloponnese, 6 km away from the romantic town Kyparissia. Situated in a wonderful green environment direct at the beach of the Ionic Sea, you may relax and enjoy the tranquil atmosphere while swimming in the clear blue waters of the ocean. Kos is an ideal place for various water-sports and windsurfing. Imperial Water-sports and Windsurfing club provides a large variety of activities designed to keep you in the water while having loads of fun and you do not have to be a resident at the hotel to be able to join in the water activities. Kompologaki is a traditional tavern in the provincial road, just outside the village of Kefalos.